From the clean classic lines of the Cobalt CS23, come all the same style in a slightly smaller package. Enter the Cobalt CS22. Perhaps it's the timeless good looks? 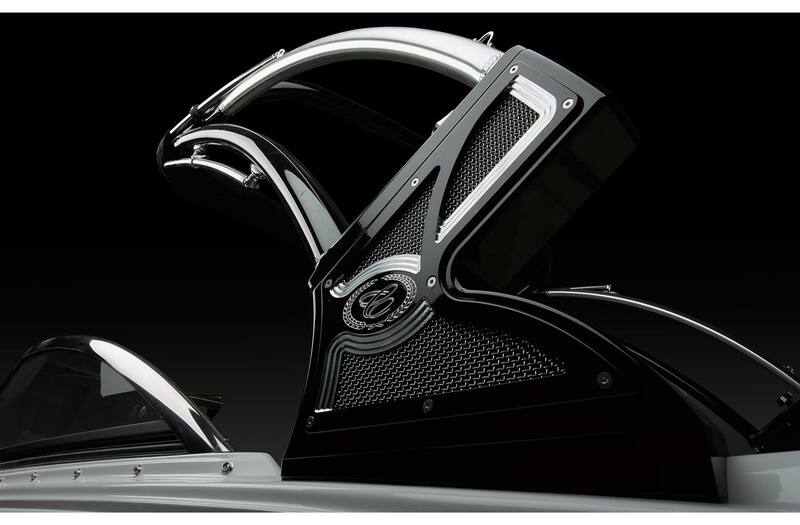 The peerless ride and function? We say yes, yes and yes again. 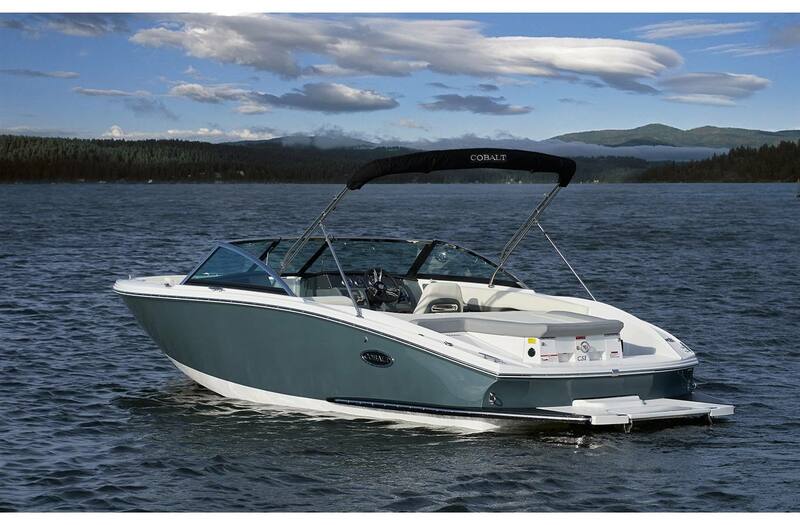 The 2018 Cobalt CS22 at over 22 feet is a model of efficient use of space. Inheriting the proven performance of the CS hull and graceful deck design, too. Sleek, simple and artful. 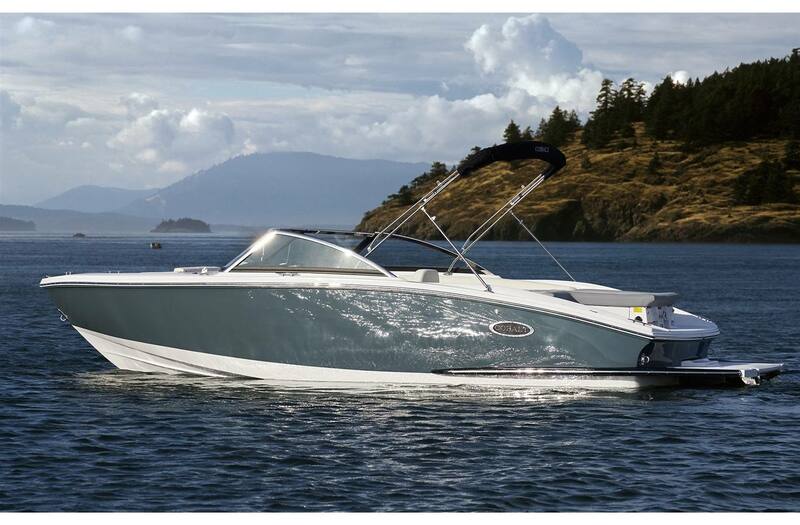 Step inside and check out the detailed interior including the island sun lounge with a walk-thru transom, Cobalt-branded coaming pads, intricate colored stitching details, and digital helm instrumentation. Oh, and the Bluetooth sound system with six speakers - yes, that too may cause your audiophile guests to awe in your direction. Compliments will keep ‘coming as your crew marvels at her innovative qualities - making you look savvy, smart. The CS22 is the perfect choice. A small boat for those who do not wish to compromise luxury or performance. The CS22 - built with pride in the heart of America, Neodesha, Kansas. Length Overall w/ Swim Platform: 22 ft. 6 in. Interior Cockpit Width: 92 in. Bridge Clearance w/o Bimini: 3 ft. 11 in. Bridge Clearance w/Arch: 6 ft. 10 in. Draft Drive Up: 24 in. Boat Certified Capacity w/gear: 1595 lb. Prem Sound System w/Arch Spkrs-1 pr. Drive Down: 37 in. ; Drive Up: 24 in.